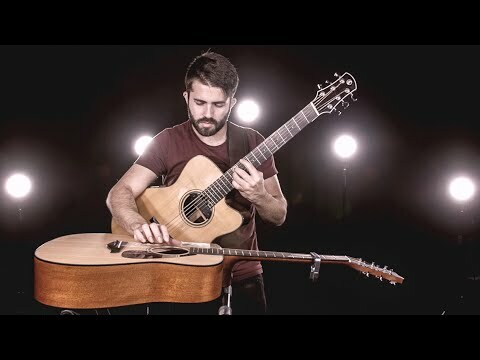 Luca Stricagnoli has the funk of 40,000 years. 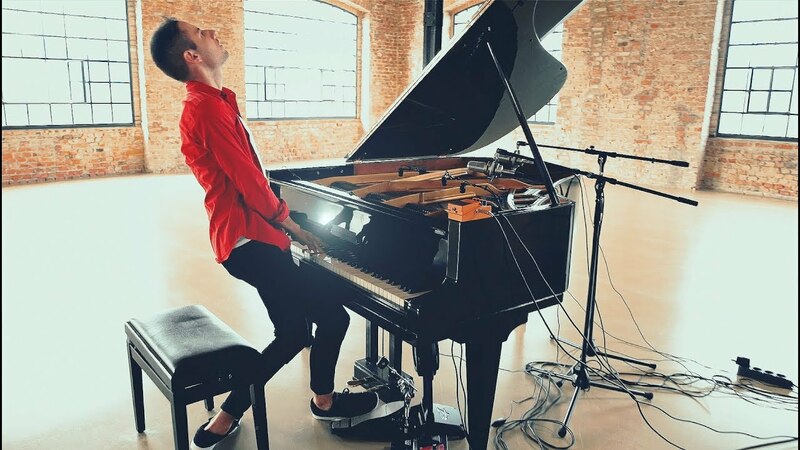 Hungarian pianist Peter Bence covers popular songs by performers like Sia, Queen (check out his "Don't Stop Me Now"), and The Beatles. His latest cover is "Beat It" by Michael Jackson and it might well be the most chipper version of it I've ever heard. Absolutely delightful! 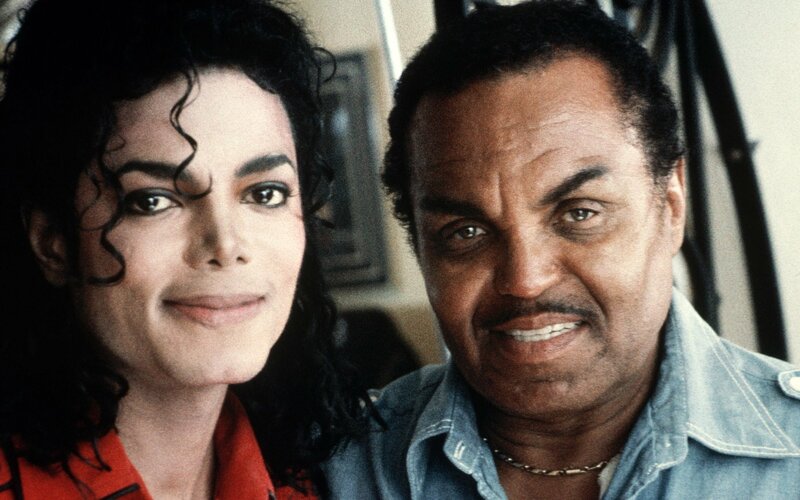 Joe Jackson, musical family patriarch and Michael Jackson's famously abusive dad, has died. A company by the name of Stance makes really fun socks. 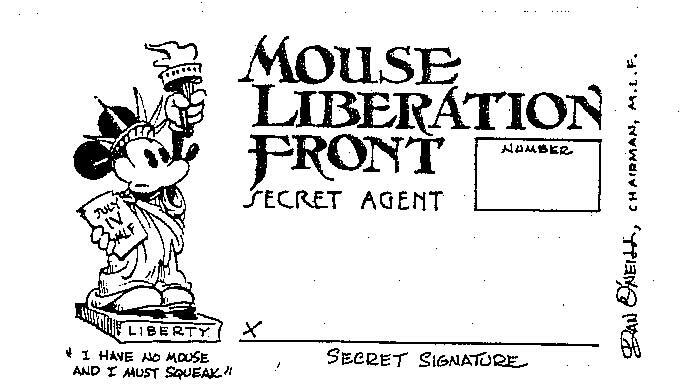 Their licensed ones are particularly nice. I was recently gifted a pair of their Thriller socks ($18) and I absolutely adore them. They're thick, well-made, and detailed. 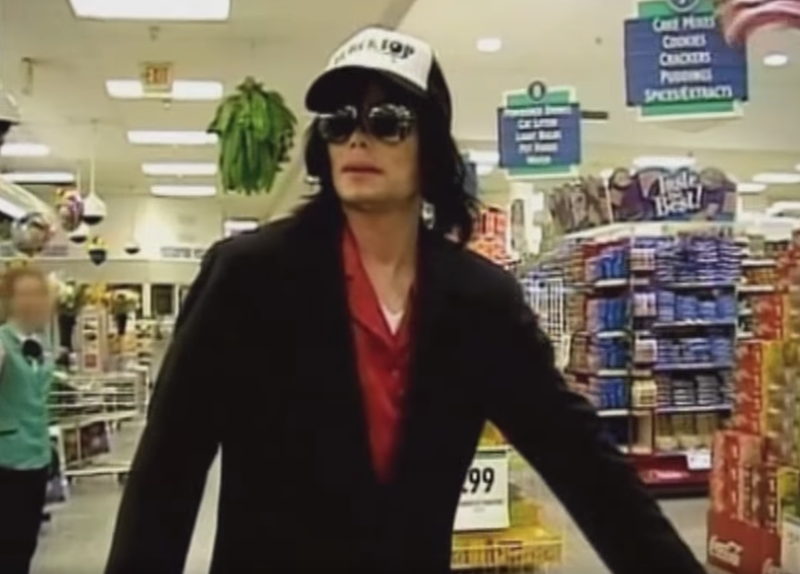 Plus, they are packaged in a way that shows the top sock -- the before-transformation Michael Jackson -- which then reveals the werewolf sock underneath when its pulled back. 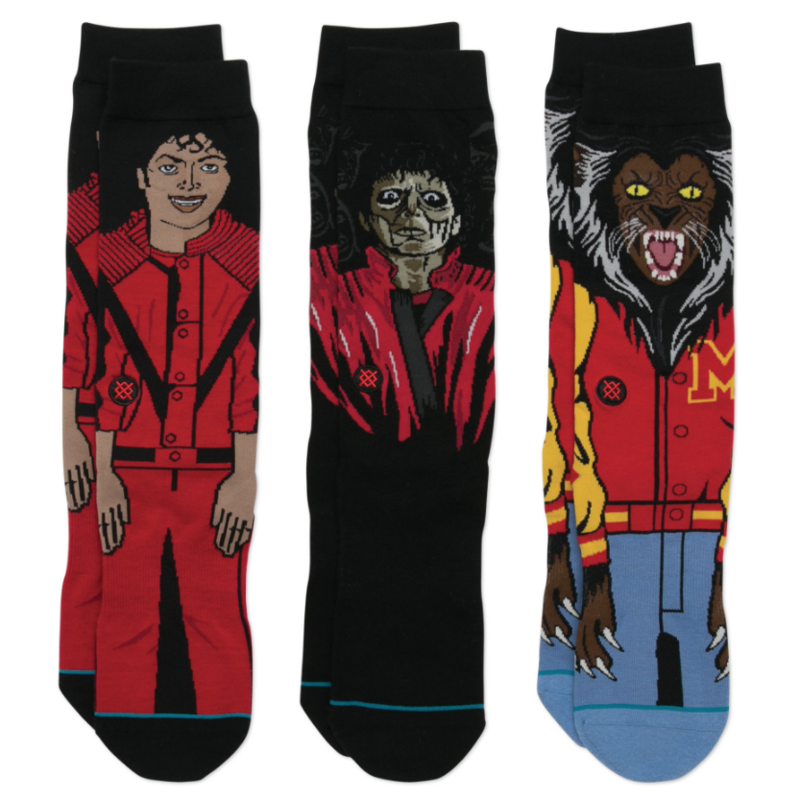 I learned that they sell a $55 three-pack of the socks (shown above) which also includes a pair of Michael Jackson as the zombie. Scott Bradlee's Postmodern Jukebox band teamed up with Wayne Brady (Whose Line Is It Anyway?) 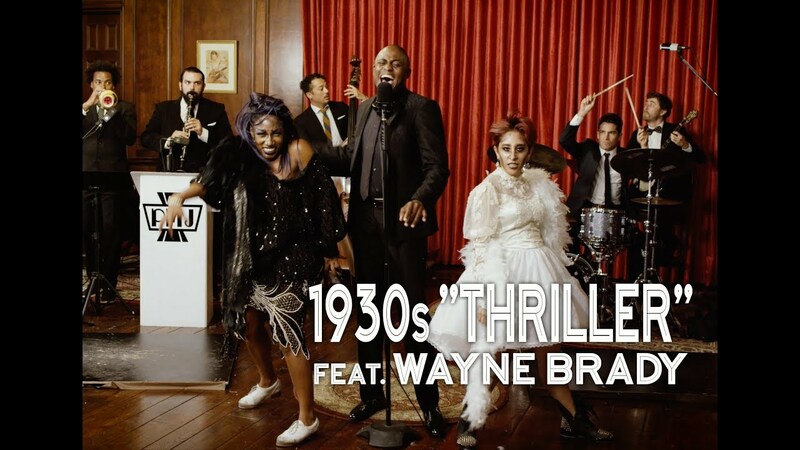 to bring us this 1930s jazz style cover of Michael Jackson's 1983 hit "Thriller," complete with zombie tap dancers. The band is currently on a worldwide tour. 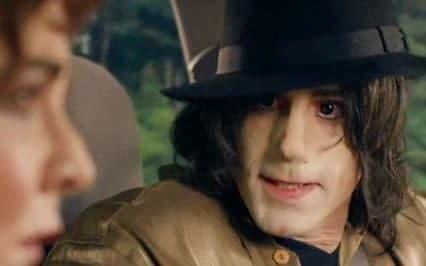 Cable network Sky will not air the episode of the comedy series Urban Myths featuring Joseph Fiennes, who is white, portraying Michael Jackson. 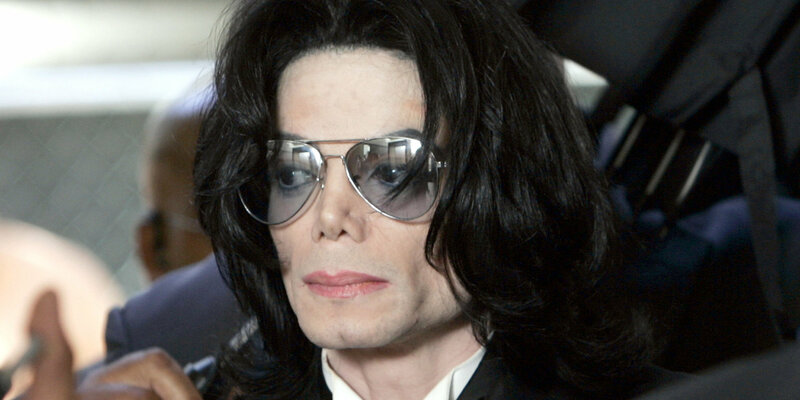 The decision came in response to intense criticism from the likes of Jackson's daughter Paris Jackson who tweeted that the trailer (above) "honestly makes me want to vomit." @TheMJCast i'm so incredibly offended by it, as i'm sure plenty of people are as well, and it honestly makes me want to vomit. Hear Michael Jackson's demo for "Thriller," called "Starlight"
"Originally, when I did my Thriller demo, I called it Starlight. Quincy said to me, 'You managed to come up with a title for the last album, see what you can do for this album.' I said, 'Oh great,' so I went back to the hotel, wrote two or three hundred titles, and came up with the title 'Midnight Man'. The next morning, I woke up, and I just said this word... Something in my head just said, this is the title. You could visualize it on the top of the Billboard charts. You could see the merchandising for this one word, how it jumped off the page as 'Thriller'." Yoshimi Tsujimoto and company burn through Michael Jackson's "Smooth Criminal" on shakuhachi (bamboo flute) and koto. Sure beats Alien Ant Farm's attempt. 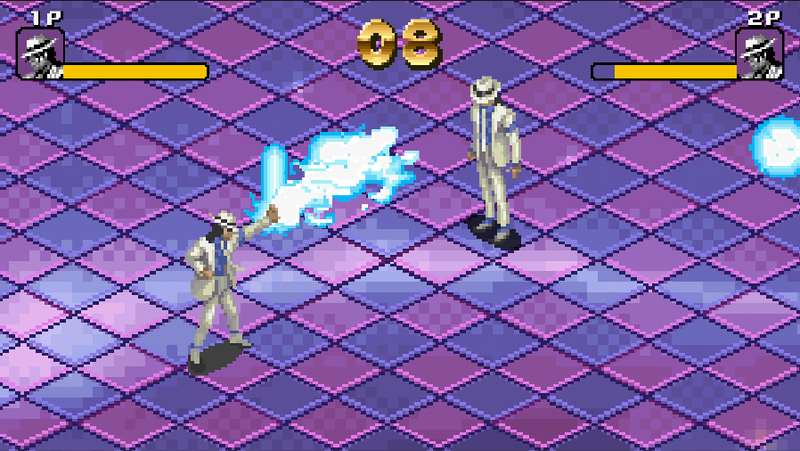 This two-player Michael Jackson game masters the look and feel of an illegal bargain-bin knockoff from the lost 1980s. Did you know he could transform into a spaceship?